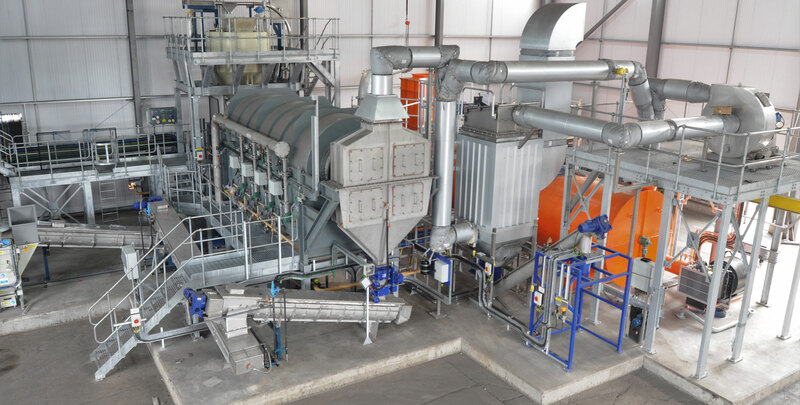 CPL Activated Carbons is able to reactivate spent carbons at its state-of-the-art facility in Immingham, UK. environmental processes such as biogas, VOC, remediation, wastewater etc. Only PAC and waste carbons classified as ‘Red List’ cannot be reactivated by CPL, and must be disposed of by an authorised and competent contractor. Through its extensive R&D and technical laboratories at the Immingham site, CPL operates a ‘Carbon Acceptance’ testing procedure on samples of spent activated carbons, to establish whether they can be reactivated in our facilities. CPL started reactivating Amber List spent carbons in 2013, and a significant expansion of this capacity was completed in early 2018, making it one of the largest ‘amber’ regeneration facilities in Europe. At the same time, we set up a completely separate facility for the reactivation of ‘Green List’ spent adsorbents, to allow us to supply our products and services to the municipal water and food production industries. Reactivation involves passing the spent carbons through a slowly-rotating horizontal kiln at temperatures typically in the range 700-900°C. Impurities present within the pores of the spent carbon are desorbed and subsequently destroyed in a thermal oxidiser and scrubber system, leaving a regenerated carbon adsorbent that can be reused in its original application. Spent ‘Green List’ carbons for food and drinking water applications are reactivated on a customer-specific or ‘custom’ basis, meaning a customer receives back exactly the same batch of carbon that they sent for reactivation. Spent ‘Amber List’ carbons from industrial applications tend to be pooled together and reused as required by any customer. CPL Activated Carbons has developed a number of technologies to improve the efficiency and performance of the reactivation process, based on extensive R&D knowledge and collaboration with our academic partners, as well as experience gained in other industries. One example of this is our method for preparing spent carbon prior to entering the kiln, which dramatically improves the reactivation results. As a major reactivator of spent activated carbons, we have a keen interest in talking to carbon users who have stocks of spent material, since it makes sense from an economic and environmental perspective to regenerate spent adsorbents rather than dispose of them.